Hitman has been one of the year’s top games thanks to its great stealth gameplay, great art direction and variety of mission locales, such as a Paris fashion show or the desolate farm serving as a militia compound seen in last September’s episode five of the game. So it’s hard to argue, then, that this first episodic season of Hitman has been nothing less than a success, and the game also features additional content such as the escalation contracts, other challenges and, of course, the now famous Elusive Targets. The Elusive Targets are assassination targets that only appear in the game for a set period of time, meaning players have a deadline for attempting the contract. To add to the complication, dying during the mission means players will not be able to attempt the contract again, plus some Elusive Target contracts have also featured additional objectives or win conditions. 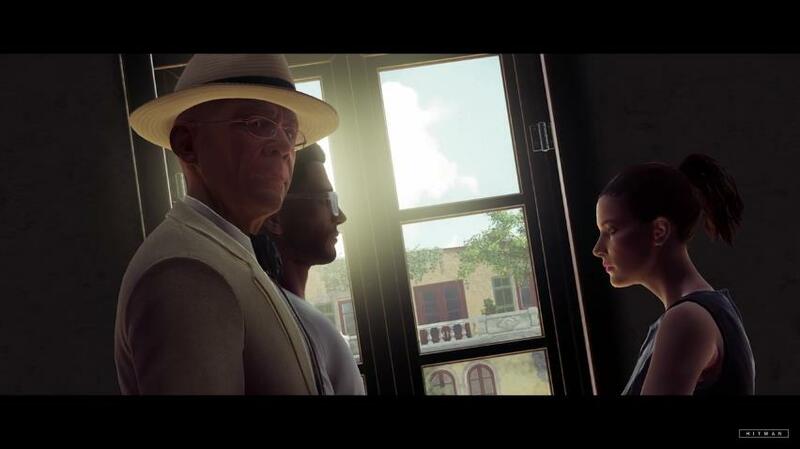 For instance, last August’s Elusive Target mission required players to steal a valuable object after eliminating a target known as “The Broker”, while the latest Elusive Target contract (number 16) requires that two other people involved in the affairs of a man known as “The Guru” not be harmed. And this latest Elusive Target is something of a conman, as he is a self-help guru famous for disappearing after scamming his clients… His latest victim is a rich youngster who has a juicy trust fund, so his family has hired the ICA (the organization Agent 47, AKA the Hitman works for) to deal with the man as is explained in the briefing video above, also noting that both the rich lad and a family lawyer sent to protect his interests not be harmed in the mission. So this looks like another exciting Elusive Target contract for Hitman players to enjoy, and one which will be taking place in the sunny Italian coastal town of Sapienza, which was the setting for the Ether virus mission in episode 2 of this first season of Hitman. 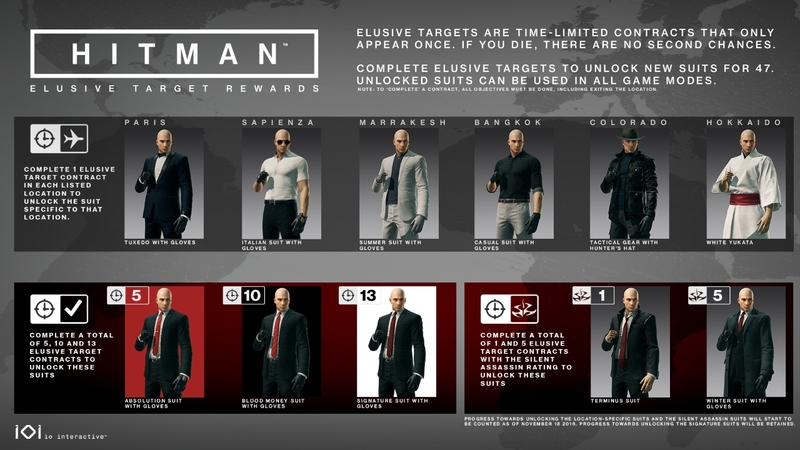 Players will receive a series of rewards for completing these Elusive Target contracts, as can be seen in the image below, surely making these missions one of the most interesting and rewarding parts of IO Interactive’s Hitman reboot this year. Note: Elusive Target 16 will be available in the game for 7 days (until Friday 23).